Some 200km north of Arctic Circle, the brooding outpost of Kiruna (known as Giron in Northern Sami) is Sweden’s northernmost city. 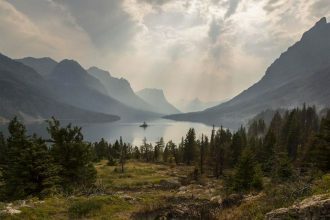 It’s one of the best bases for travellers wanting to explore rural Lapland and has some intriguing tales of its own, having recently gained worldwide fame as ‘the city that’s being moved’. 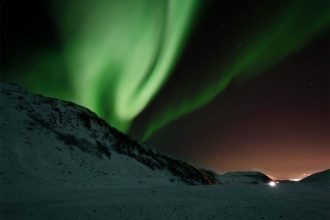 The Sami have inhabited the region around Kiruna for millennia, but it wasn’t until the early 1900s that the modern city began to take shape, with thousands of people flocking to join a mining rush. The catalyst for Kiruna’s population boom was iron ore, which runs below the frozen ground in a thick, rich seam. Work to extract the ore has expanded to such an extent that Kiruna now has the world’s biggest underground iron mine – though it’s very obvious above ground too. Indeed, the mine is so big that it dwarfs the rest of the city, and seems to loom on the horizon at every turn. While the mine brings in huge profits for the Swedish state and creates hundreds of jobs (LKAB, which runs the mine, is one of the region’s biggest employers), it also creates big problems. The most pressing issue is that decades of intensive mining have created deep cracks beneath Kiruna, and now the whole city centre is at risk of falling into the abyss. Locals regularly complain of hearing late-night explosions as miners blast their way through the bedrock to reach new iron. 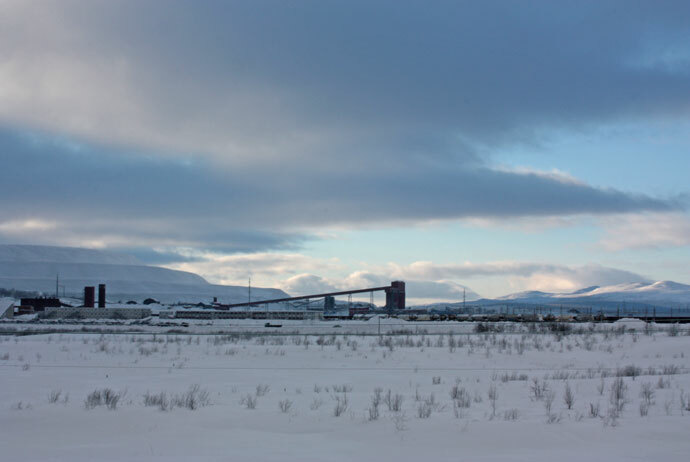 Simply put, Kiruna can’t live with the mine, but it can’t live without it either. The only hope is to move Kiruna – apartments, hotels, public buildings and all – to a completely new location. Between now and 2035, the whole city centre will be shifted a couple of kilometres to the east. Some of the better-known buildings, such as the city’s beautiful wooden church, will be dismantled and moved across town. Others will just be knocked down. LKAB has already started buying up chunks of the existing city centre, and we’ve spoken to locals who’ve decided that they’d rather move away from Kiruna for good than see their property get torn down. The result of all this is that the town can feel a bit depressing, especially during winter, but it’s an undeniably fascinating experience to wander past the 1950s shop fronts in the city centre, knowing that they won’t be around for much longer. And there are definite advantages to staying in Kiruna. The city has very good transport connections, both west towards Abisko and the Norwegian border and south into the rest of Sweden, and there are some decent accommodation options – though a few of Kiruna’s hotels are already slated for demolition. Many travellers visiting the northernmost part of Sweden opt to fly to Kiruna, spend a night in town, and then proceed on to the Icehotel in Jukkasjärvi, about 17km east. 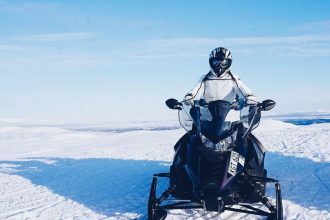 The abundance of tour guides working around Kiruna means that it’s easy to arrange all manner of outdoor activities here, from hiking and fishing in summer to dog-sledding, snowmobiling and snowshoeing during winter. 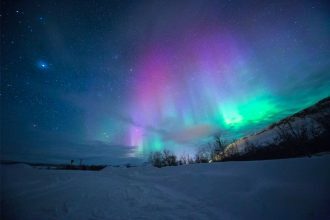 Get just a few kilometres away from the city centre’s light pollution and – on a clear night – your chances of seeing the northern lights are pretty good. In summer, of course, it’s light right around the clock.